Fortune finally has a podcast! Her instagram brings her followers so much joy and now we get to spend 30 minutes with Fortune every week. 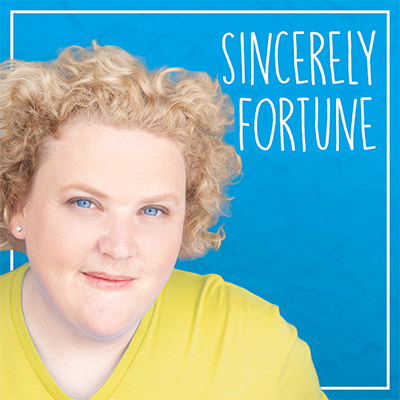 The concept of the podcast being, “she discusses a new topic every week in a more real, sincere way.” Fortune is a Genuine delight and will have topics that affect her and many others, like Resolutions and divorce to just name a few. Check it out on iTunes, Spotify, or Castbox. If half hour once a week is not enough to quench your Fortune fix then be sure to get your tickets to see her live at Comedy Works Downtown in Larimer Square June 21st – 22nd!